What was one of the most challenging experiences you’ve faced, and how has it shaped who you are today? 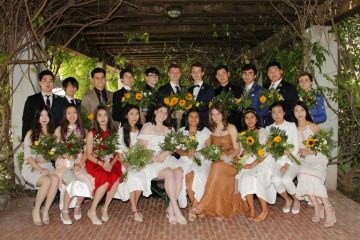 Seniors across the country face this thought-provoking question when filling out their college applications, but several Ojai Valley School seniors knew perfectly what to talk about: the Thomas Fire. 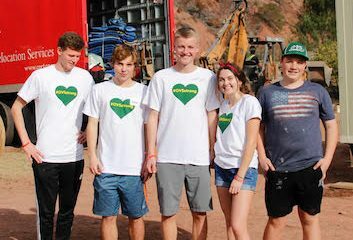 The Thomas Fire started on December 4 of last year and struck the Upper Campus the following day, impacting the lives of all OVS students and faculty. The fire destroyed two signature buildings — the girls’ dorm and the science and technology center — and damaged various other facilities and structures. On top of all the challenges junior year brings, the Thomas Fire certainly added to the list. 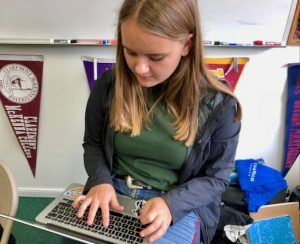 But despite the adversity, OVS seniors took their experiences from the fire and used them to create a topic for their college essays and supplemental questions. Lilli Trompke wrote about the fire in relation to Arthur Miller’s play The Crucible. Being inspired by its metaphorical definition, she used it as the source of her inspiration for her common application essay. Part of the essay required Lilli to write about the experience, but she also had to elaborate on how she grew despite the tragedy. Yes, the fire destroyed, but it was the brush that needed to be burned to give the flowers deep underneath a chance to flourish, and it was the feeling of community that I felt when we met in the winter to rebuild our school, that gave me the urge and ability to learn to handle the pain, to benefit from it by overcoming it, because really, that was all we could do at that moment. I learned to value what was left, my friendships, my family, a place to live, and, above all, a healthy life. At least a half dozen OVS seniors have referenced the fire as part of their college applications. College Counselor Fred Alvarez said those references have ranged from heartfelt stories of items lost to the fire to terrifying re-creations of the hours in which the fire marched toward the Upper Campus and forced students and faculty to flee. Maya Mullins’ essay does exactly that. She started the essay with a brief summary about the harrowing hours between when the fire started and when students were told to evacuate from Upper Campus to Lower Campus. But she spent the majority of her essay talking about how the fire changed her and she had to live with that new reality when she returned to school five weeks later. Her writing about the fire paid off as she recently got accepted into one of her top schools, American University in Paris. Many dormers wrote about the impact the fire had on them when the fire hit OVS, but Sophia Cluff-Thompson had a different story to share. She wrote about the race against the flames to rescue her horses and other horses in the community. On the day of the fire, Sophia received a call from her trainer at her barn who was desperately seeking volunteers to help evacuate the horses. With the fire trailing down the hills surrounding her barn at rapid speeds, Sophia hurried to write names on all the horse halters, lead the horses into trailers, and assist in cutting the chain link fence to the golf course to free all the other horses. Thankfully, the fire didn’t make it to the ranch, but Sophia used this story as the basis of her writing. Sophia’s biggest passion is animals, and she hopes the essay readers realize how much she worked to save these horses and put herself in potential danger in the process.